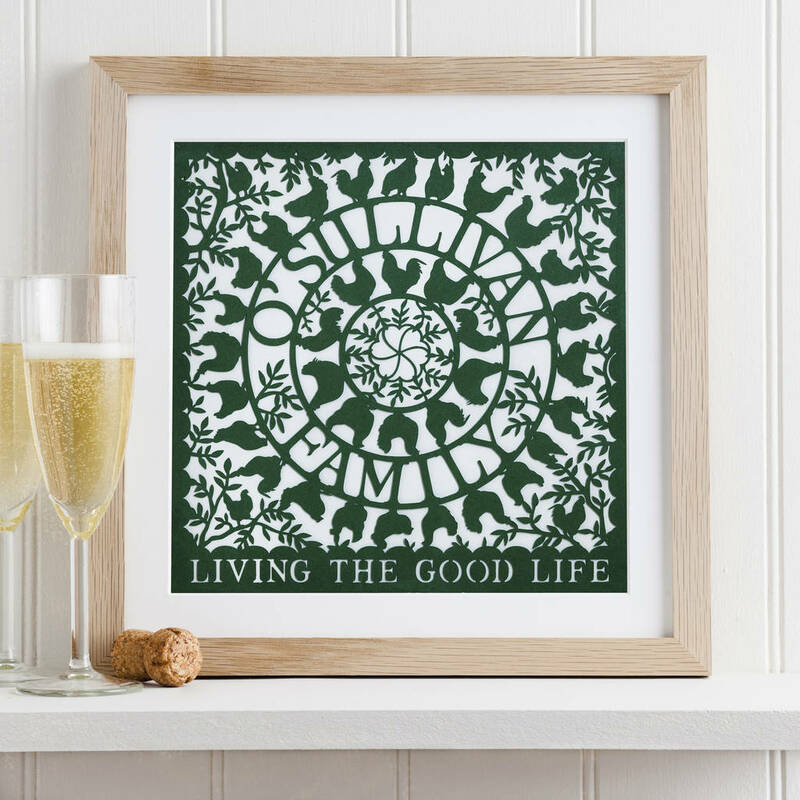 A beautiful papercut of chickens in a circular pattern and entwined with leaves that can be personalised with a family's name. This remarkable piece is perfect for a family who enjoy living the good life in their own way, whether they have a large farm, a small holding or just a small veg plot and grand schemes. I definitely know of several slightly chicken obssessed families that would love this, don't you? This will make a wonderful present that will be treasured everyday when their eyes rest upon it. 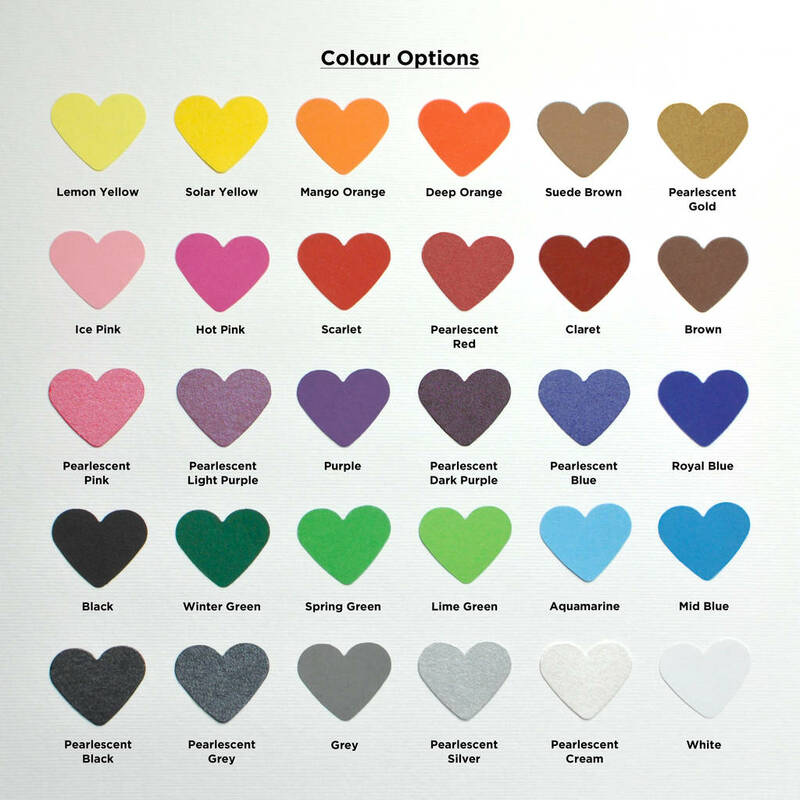 The papercut can be personalised further as now you can choose to have a different colour. There is now a drop down menu of colours. 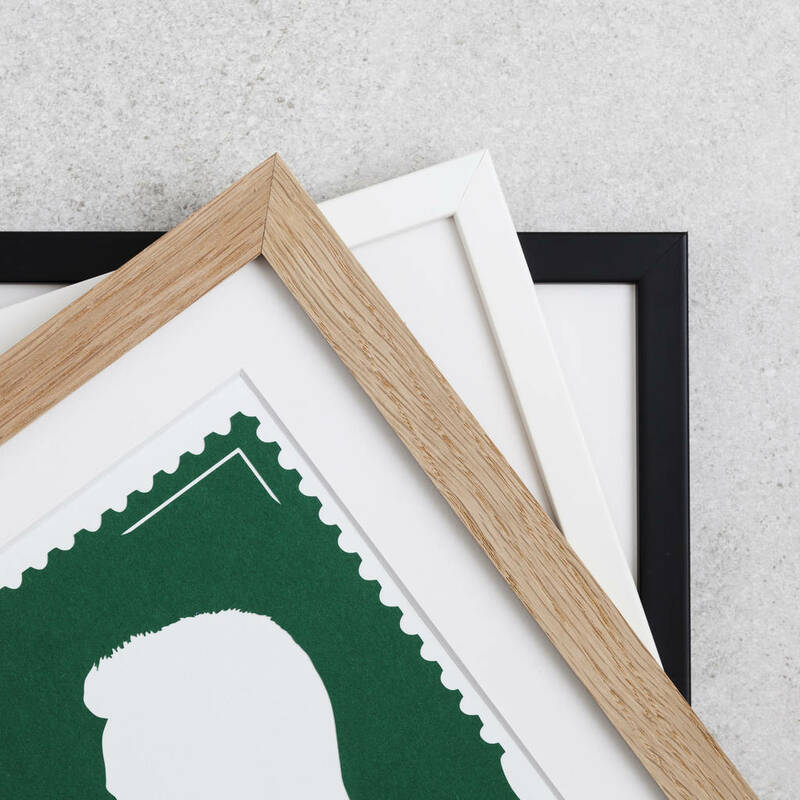 Framed 'Good Life’ cuts are posted out in a foam lined box to make sure they arrive safely. 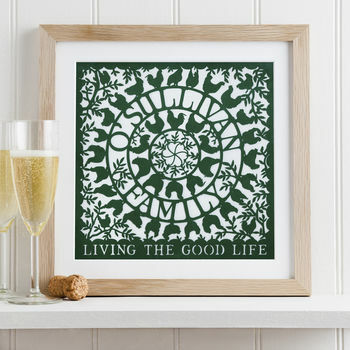 Unframed 'The Good Life' cuts are supplied tacked to thick recycled board and wrapped in a cello sleeve and posted in a board envelope to keep it secure. 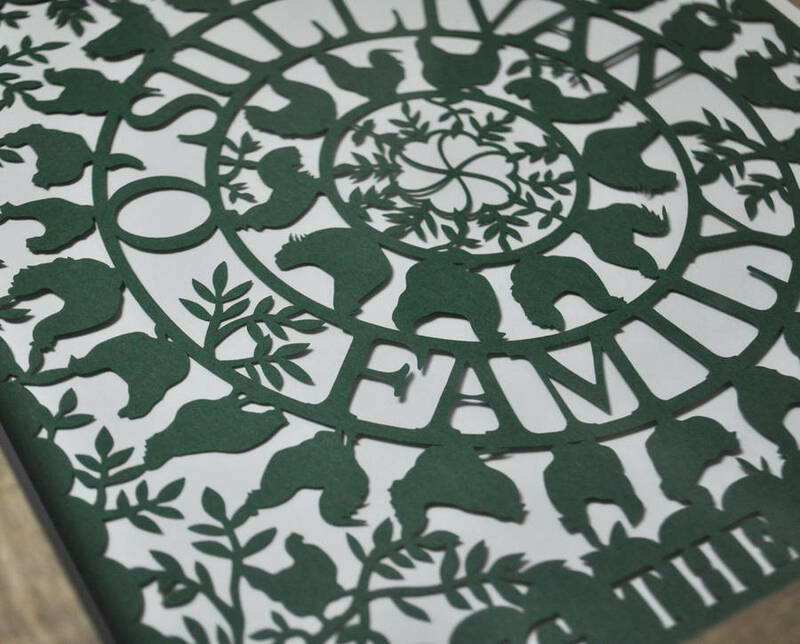 Unframed papercuts fit perfectly into 10 inch (254mm) squared frame. 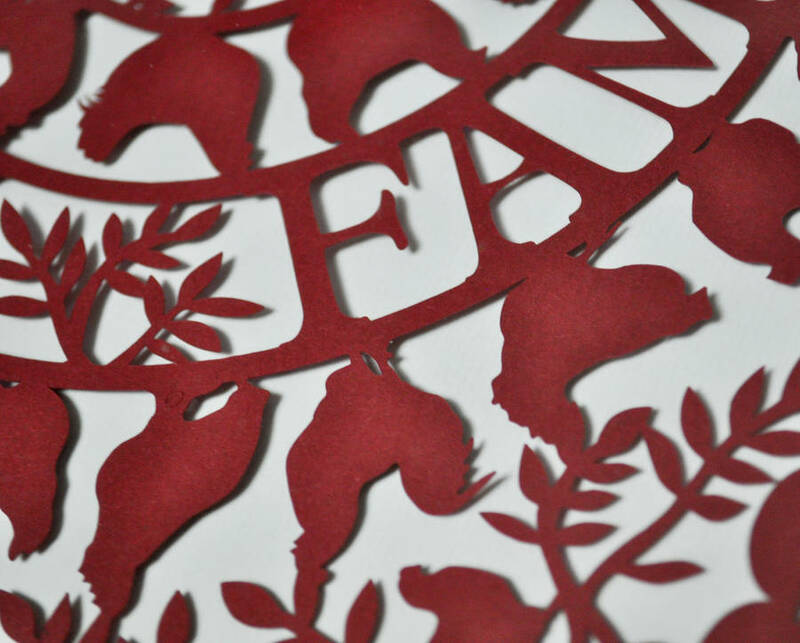 Designed and cut from a single sheet of paper and hand-finished to ensure you have an entirely unique gift. 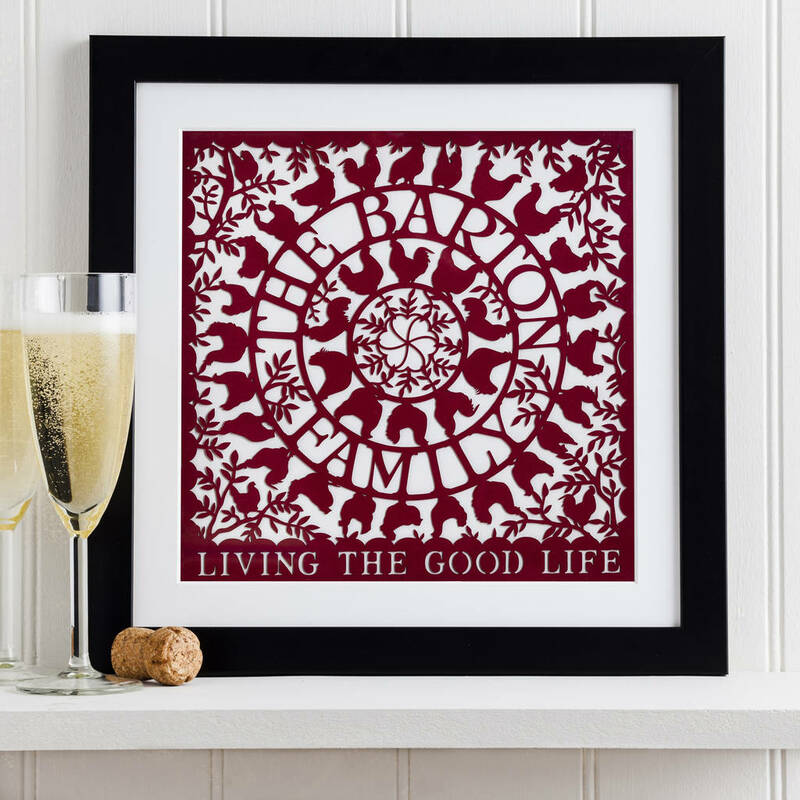 This design is cut from a sheet of 100% recycled paper, as is any backing paper it is framed with. 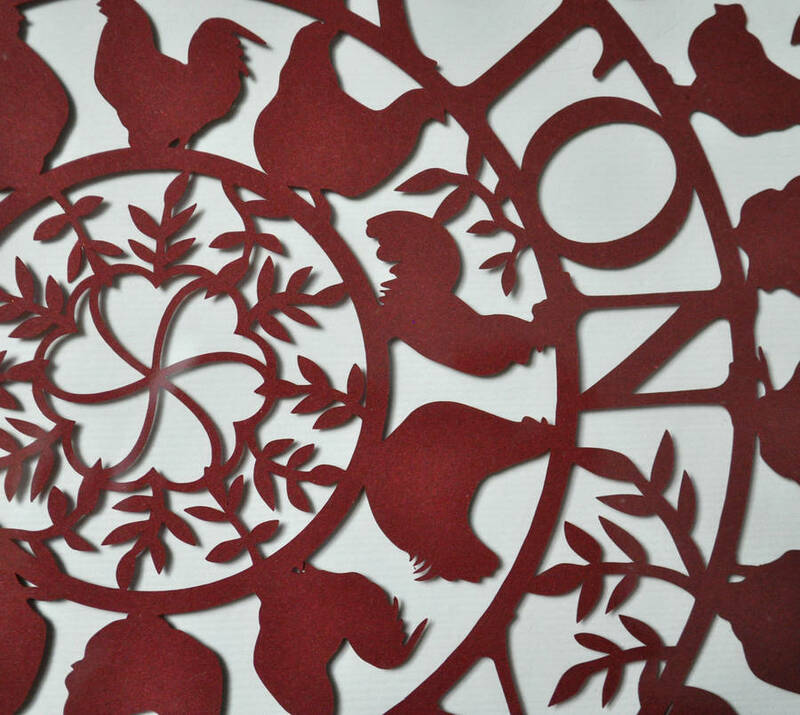 The paper cut is approximately 254mm x 254mm. If framed, it will be set within a picture mount and placed in a 12 x 12" frame (with glass). External size would be approximately W345 x H345 x D13mm. This product is dispatched to you by love Poppet.